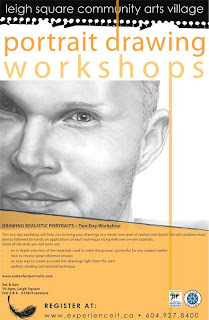 Registration is now open for my portrait drawing workshop being held at the Outlet on Feb 5 & 6, 2011. 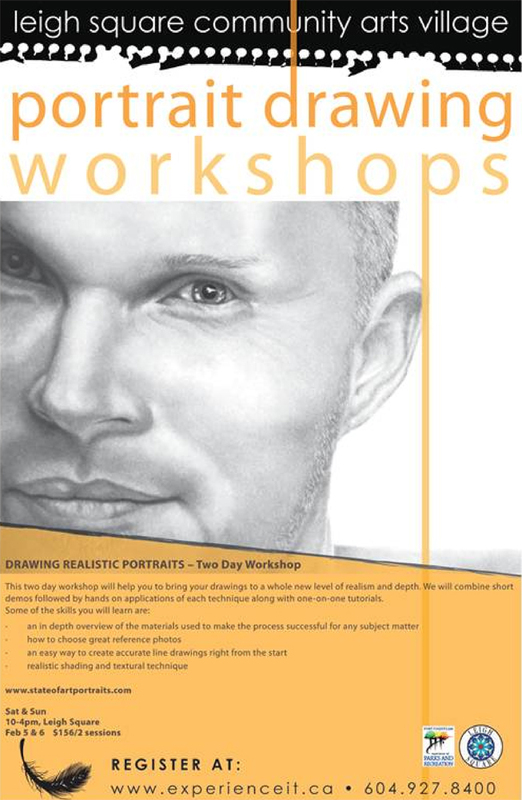 This workshop will focus on techniques for drawing accurate portraits but the techniques can be used for drawing everything from landscapes to animals. If you are interested in this workshop, you can register directly online, by phone at 604-927-8400 or contact me at info@stateofartportraits.com for more information.